Live roulette and other casino games are the next logical step in the evolution of online casinos. If you’ve grown tired of playing against the computer in a somewhat isolated environment, then live casinos are a sure bet to change up your playing experience. They’re the next best thing to a physical casino, where the social aspect of it all is at whole new level. Live casinos add an extra layer of immersion, which in turn creates a more pleasant gaming session. The advent of virtual reality casinos may eventually dispute this fact, but it’s unrealistic to expect industry swings of that magnitude anytime soon. Although mobile live casinos are still not a thing of the norm, desktop users can indulge in live dealer tables anytime they so desire. If you’re wondering if there are any glaring differences between your average Microgaming roulette and a live dealer roulette table, we have noticed that live tables tend to have a more demanding barrier of entry via higher minimum bets. Nonetheless, a number of casinos have offered us a decent amount of variety, and as you read below you’ll surely find a roulette table tailored to your needs. Roulette is still roulette, no matter if you’re playing regular online, live online or at an actual table at a land casino. The tables themselves do hold differences between one another, which is the main thing you should look for besides the casino in question itself. European and French will give you the best odds due to them having only one house pocket. What’s more is they have the En Prison and La Partage rules, respectively. Not all online variations will feature said rules on their tables, but when they do it’s a nice side bonus to have. You should remember that every little percentage matters – especially in the long run. American roulette should only be played for recreational purposes due to the +2.7% house edge, thanks to the additional house pocket. Should you look towards maximizing profits with efficiency, avoid playing at such a table. Without further ado, here’s some of the best live roulette tables you can find online, by casinos that offer a fine blend of quality and quantity. Ladbrokes Casino is the leading online casino operator in the UK. Apart from a great sportsbook which is the main vertical for this company Ladbrokes offers a first class casino. It's not only limited to classic casino games but also offers a wide range of Live Dealer games including roulette, blackjack and baccarat. If you are interested in playing Ladbrokes Casino please note they are now offering a great 200% bonus up to £600 exclusively to CasinoDeal.co.uk customers. If you want to get this great welcome bonus make sure you register with Ladbrokes using below link. 32 Red is one of UK’s finest, and as such they strive to make for an all-around satisfactory gaming experience. Their live casino department is not the most luscious, but it does deliver quality exactly where it’s needed. Open up 32 Red’s “quick casino”, which will take you straight to the live casino flash lobby in your web browser. Roulette has three available tables at all times, they’re all European-style tables with one house pocket, so it really comes down to which dealer you prefer. The lobby has neat information on each table you can check out before joining, such as betting history and number of rounds played so far. 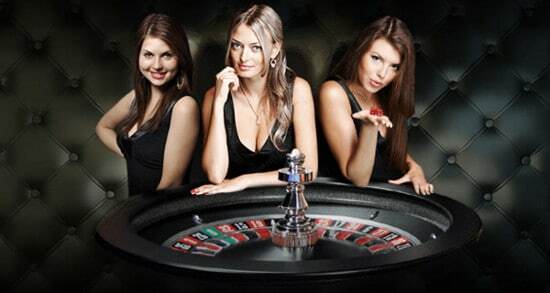 What’s more is that the roulette tables have very flexible betting ranges, starting from 25p per round. Paddy Power live casino is at a level you’d expect from a household name of that size and regard. However, you’d be surprised that their live casino assortment is nearly identical to that of Bet365. You have the usual lineup of regular, French, exclusive and dual roulette, with a few odd balls here and there. Nonetheless, the casino does have a handful of tables unique to the Irish household name, should you look for an authentic Paddy Power roulette experience. William Hill is a colossal name that has a firm foothold in the industry, having started as a bookie nearly a decade ago. They market themselves as one of UK’s leading casinos, but we’d argue that their reach far exceeds that of UK territories alone. WH’s live casino offers 11 roulette tables, such as Macau roulette, Vegas roulette, Slingshot and Slingshot VIP roulette and even Deutsches and Svenks roulette – for the German and Swedish player base, respectively. Worry not, as a UK roulette table is also on offer. Table limits vary from 10p to absurd sums of €500,000, to satisfy even the highest of rollers. The main highlight in our eyes was the La Partage Auto Roulette, streamed from one of the world’s oldest casinos – de Spa in Belgium. Needless to say, all tables are operated by professionally trained dealers. When all is said and done, it doesn’t make a world’s difference regardless of where your allegiance lies. The live casino market overall is primarily dominated by Evolution Gaming, as they supply most successful casino names in the industry. This leads to less discrepancy between choices for players, despite the fact you’re seeing ten, twenty or even more live roulette tables per casino. Nonetheless, no matter who the supplier is, look towards a casino’s reputation as your deciding factor before joining. A roulette table remains as is in most cases. Your choice is ultimately left to your preference of dealers, user options and general setting and atmosphere.